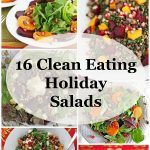 Today, I’m sharing 16 Clean Eating Thanksgiving Side Dishes that have graced my family’s table, all made with fresh whole foods. Round out your Thanksgiving menu with a few healthier side dishes to make room for pumpkin pie. 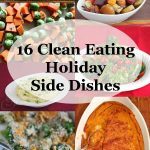 Thanksgiving is just around the corner, so today I’m sharing some Clean Eating Thanksgiving Side Dish recipes to help balance out your menu. 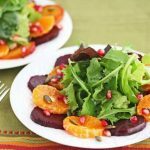 These healthier side dishes will be appreciated by guests who are a little more health conscious, as well as all your family members and guests who love their stuffing and pumpkin pie. Made with fresh, whole ingredients, your guests will be in for a treat as they taste the pure and simple flavors as nature intended. 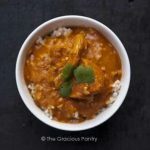 For me, Clean Eating is all about cooking with fresh in-season whole foods so their natural beauty and flavors shine through with little embellishment. Choosing local, fresh, organic produce will yield the best results. It’s well worth it for this celebratory meal. 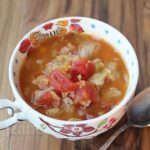 For more holiday recipes, check out 100+ Holiday Breakfast and Brunch Recipes and 100+ Gluten Free Holiday Side Dish Recipes. Great round-up, and so many beautiful options for healthy side dishes. It’s hard to choose which ones to try first. 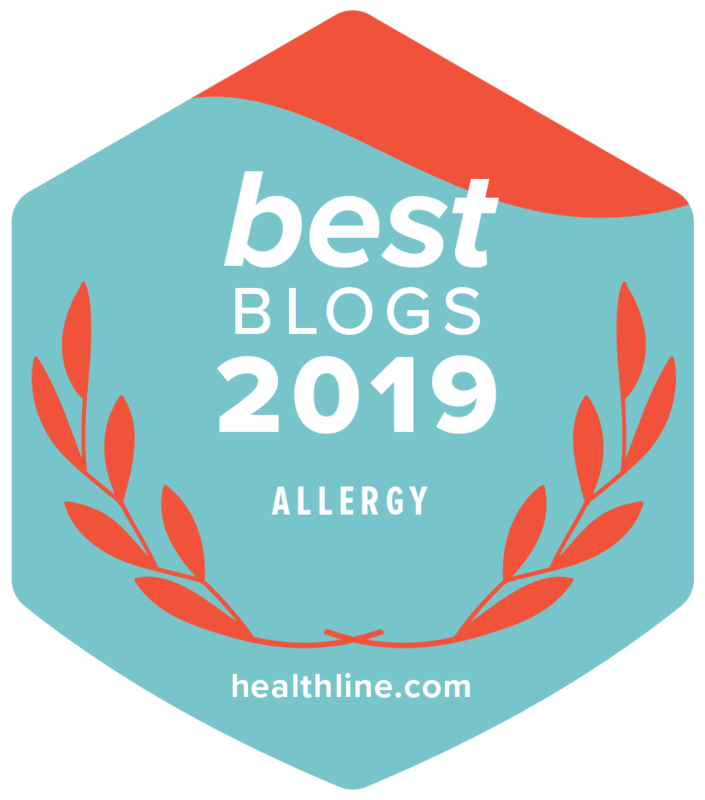 Thanks Lydia – I’m hoping to keep myself on track this holiday season, so this roundup was a fun way for me to think healthy for Thanksgiving! What a wonderful round up Jeanette! 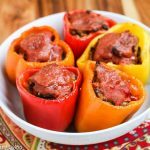 I love that these are all so healthy and full of veggies which is a great balance for this time of year when we tend to have so many parties and gatherings full of heavier dishes 🙂 Love the beautiful colors in these dishes too! Thanks Kelly – it’s so hard to stay on track this time of year, so hoping to inspire others and keep myself in check. Drooling over this round up!! I love that this holiday really does have so many veggie-centered dishes!! Thanks Liz – I’ve been trying really hard to increase the amount of vegetables my family eats at dinnertime, and plan on doing the same for Thanksgiving. I love your clean eating theory! Love your round-up photos too. 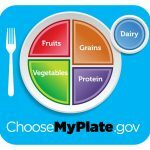 It’s encouraging and inspiring us to eat healthier while we enjoy holiday meals. It doesn’t have to be all so bad when you eat right! Thanks Nami – it’s all a matter of balance, so I’ll be enjoying the holidays like everyone else, but trying to get my veggies in. Can it be Thanksgiving year round?!?! With dishes like these I really think that’s an idea I can get behind! Davida – thanks for stopping by! I would love Thanksgiving year-round! Fabulous Thanksgiving recipe roundup, Jeanette! Everything looks deelish! Thanks for sharing, girl. Pinning! Thanks Stacy – and thanks for sharing! Happy Thanksgiving! Thanks Sylvie – appreciate your sharing! Healthy food can be so DELICIOUS too! 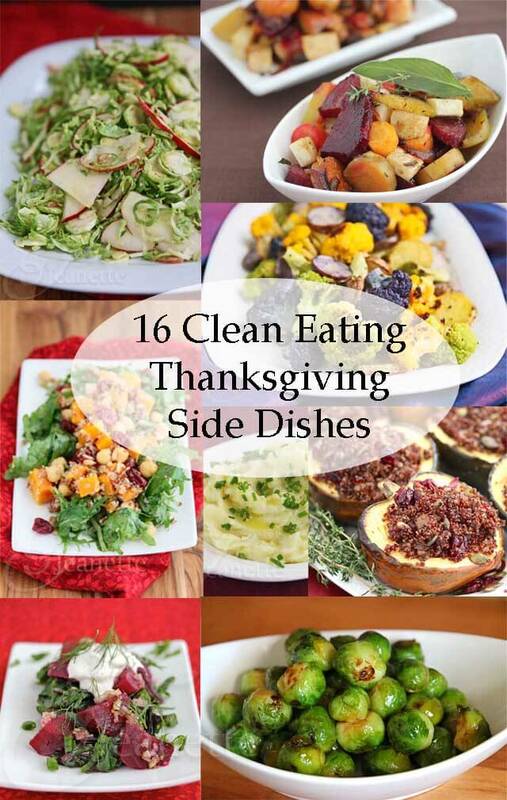 Love all the side dish recipes, Jeanette, a great roundup. Thanks Angie – Yes! Healthy can be really Delicious! Thank you so much for stopping by my space Jeanette. Love those clean eating sides here .U definitely have such a healthy approach.Hope u win the Healthline’s contest.Just voted for u. Thanks Ela – hope you have a wonderful Thanksgiving! What a great round-up of healthy dishes for Thanksgiving! Love them! In your title photo above that says “16 Clean Eating Thanksgiving Side Dishes”, in the very upper left corner of that photo is a salad that looks delicious. Do you know what that is and where the recipe is? I couldn’t tell by any of the recipes that were listed below it. That looks so good and I’d really love to try it, thank you! Hi Lisa, I moved it to the top of the list. It’s called Tangy Brussels Sprout and Apple Salad. I totally love your recipes. I believe just like you that healthy food can be very tasty and in the end, it feels so good to eat clean. Thanks Angie and Ash – yes, healthy can be delicious! Trying to continue eating healthy through the holiday season. 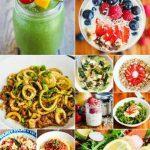 Beautiful collection of clean eats! Thank you for your beautiful post and all that you do. Thanks so much for your feedback and for sharing this post – I appreciate it!